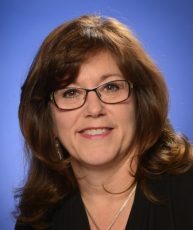 Jeanie Price, Partner and Director of Administration at Gaithersburg, Maryland-based DeLeon and Stang, CPAs and advisors, recently was recognized as the top CPA firm administrator in the nation. Price, an Accredited Administrator in Accounting Practice Management (AAAPM), was announced as the recipient of the CPA Firm Management Association’s Ace Administrator Award at CPA FMA’s national conference in Baltimore in June. A champion of innovation and strategic planning, Jeanie was recognized for her outstanding contribution to her firm and the profession. “Since her first day – September 30, 1991 – Jeanie has taken the lead on managing the day-to-day needs of the firm,” said DeLeon and Stang co-founder Richard Stang, CPA, ABV, PFS, in nominating Price for the award. He adds that having Jeanie oversee firm operations and engage in client development and business development has freed up his time and that of all the CPA partners at the firm so they can focus more on client service. One of the most valuable – and often scarce – commodities in our professional and personal lives is time. CPAs, CFOs and other professionals, feeling challenged just to ‘keep up’ in these fast-changing times, can sometimes put off planning for the future. Jeanie Price makes sure that doesn’t happen at her firm. 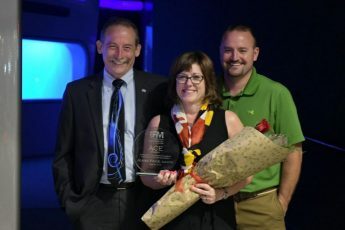 Bob Price, Jeanie Price and Brad Hoffman as Price wins ACE award at CPA FMA. Keeping up with the changing environment is also a priority at her firm. “One of the cool things we did last year was to get all our staff involved in the Anticipatory Organization program,” says Price, referring to the Anticipatory Organization-Accounting and Finance edition (AOAF), created by leading futurist and consultant Daniel Burrus, and customized for the accounting and finance professions with the MACPA and BLI. Price’s firm, DeLeon and Stang, was one of the first firms in the country to adopt AOAF training program. AOAF helps firms become future ready through a series of quick-study modules combined with interaction throughout the firm, and helps professionals recognize and leverage hard trends (such as changes in technology, demographics, and regulation) to their advantage, rather than being disrupted by those trends. Keep the lines of communication open with your firm’s partners, make them think outside the box, make sure they know all the things you do for your firms, don’t assume they know. Learn and grow, read the accounting blogs, and be open to change. Get to know the folks at your state society,” says Price. “For me, the MACPA, Tom Hood and his team have been awesome resources and great supporters of firm administrators. Our state societies know that we are the lifeblood of our firms and can often bend the ears of our managing partners. We here at the MACPA and the Business Learning Institute heartily congratulate Price on winning the Ace award. See also Tom Hood’s related post in the BLI blog, The Four Essentials of a Future-Ready Firm.